The second Sunday of each month (excluding holiday weekends), the 10:00 am service will be a Children & Youth Service. We are exploring ways to engage the children in these services through participation and child-focused homilies. We hope this will be a day that all the children look forward to each month as a chance for joyous worship and fellowship with their friends. 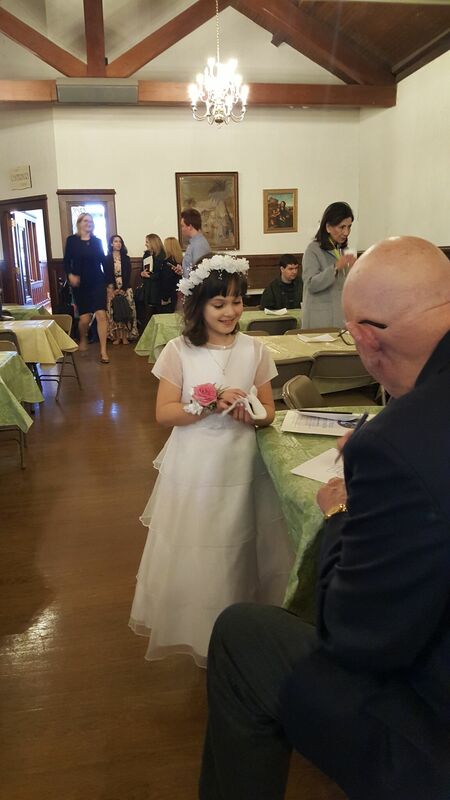 Our teachers' commitment to bringing children closer to the knowledge and love of Christ is the cornerstone of St. John's Sunday School Program. In addition to classes, there are scheduled activities which typically include Advent Wreath Making, a Christmas Pageant, the Palm Sunday Passion Play, Mother's Day Youth Sunday, Sunday School recogintion Day, and the end-of-year party. All children are invited to be part of Sunday School and parents are encouraged to enroll them. Children will be taken to their classes by their teachers right after hearing the children's sermon at 9:40 AM in the Canterbury Corner. The children will rejoin the servie at the peace. You and your family are invited to Sunday School each week - come by and meet the teachers any Sunday. 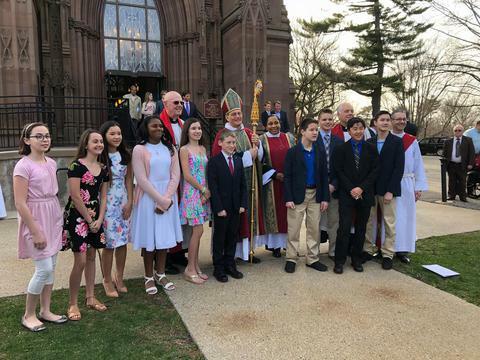 The usual age for the Youth Confirmation at St. John’s is 14 of age or older. The student are required to attend all the classes and are expected to attend the worship service regularly and to serve as Acolytes, training for which generally begins in October. The classes begin in January. They are required to take part in service projects in the church and in the community. The Confirmation Service is in April or May in the Cathedral of the Incarnation in Garden City, however sometimes the Bishop's schedules Confirmation according to his scheduled visitations to one or several of the churches in the Diocese. The mission of the Youth Group, grades 7-12, is to build relationships with each other, with their leaders, with their community and with God. We seek to guide the young members as they begin to participate in the life of the church. Most Sunday evenings during the school year, students meet in a supportive, relaxed environment to enjoy fellowship or provide a service to St. John’s or the community or community. Social activities include sporting events (ski trips, bowling, miniature golf, and softball), sleepovers at the church, movies and an end-of-the-year picnic. Service activities include clean-up following the annual Holiday Fair, Christmas carolling to shut-ins, hosting a Lenten supper, organizing the annual “Souper Bowl” fundraiser to combat hunger in community organizations in Huntington, joining in selected Diocesan Youth Programs and a youth-led Mother’s Day service with the youth ushering, reading and preaching. Fund raising events include a Plant Sale in May and a Wreath Sale in December, with proceeds going to defray the cost of trips and activities. In addition to trips in recent years to Germany, Bermuda and Colorado geared to give our youths the experience of helping others, developing new relationships and exploring the rich history of the Church, our youth visited Costa Rica for an 8-day adventure in early 2012 that combined spending time and working with the native Bribri culture, eco-education and just plain fun. St. John’s also sends Youth Delegates to the Diocesan Convention to further their integration into the life of the Church. We plan to go to Costa Rica agian in February 2016. The course consists of eight classes beginning at the end of January through Lent. Team-taught by two Lay Volunteer teachers with clergy it offers a comprehensive curriculum covering the sacrament of Baptism, Exodus, the Last Supper, Passover traditions, a tour of the Sacristy, learning how to set the altar table, a focus on the Eucharist portion of the service, a mock Thanksgiving feast with lessons on why people eat together and baking the Communion bread (the favorite activity of the children). The children also write their own mini Collects and a part of the Eucharistic Preface, and celergy combines the Collects into the First Communion service on the Second Sunday of Easter in April. 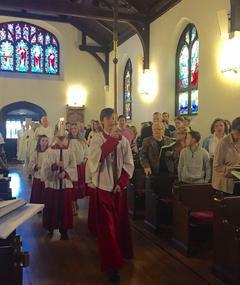 Other highlights of the service for the children included the solemn procession to the Baptismal font where they are blessed with holy water, sitting in the choir with their teachers and going up to the communion rail to receive as a group. 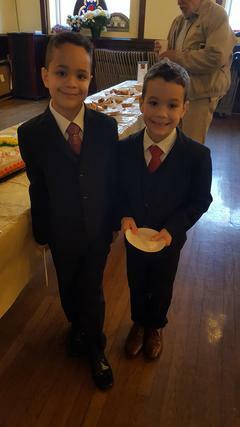 Following the service, as is the custom at St. John’s, the entire parish celebrates the occasion with a congratulatory cake for the candidates. Open to children in Grades 2-5. Eight classes are held before Easter.